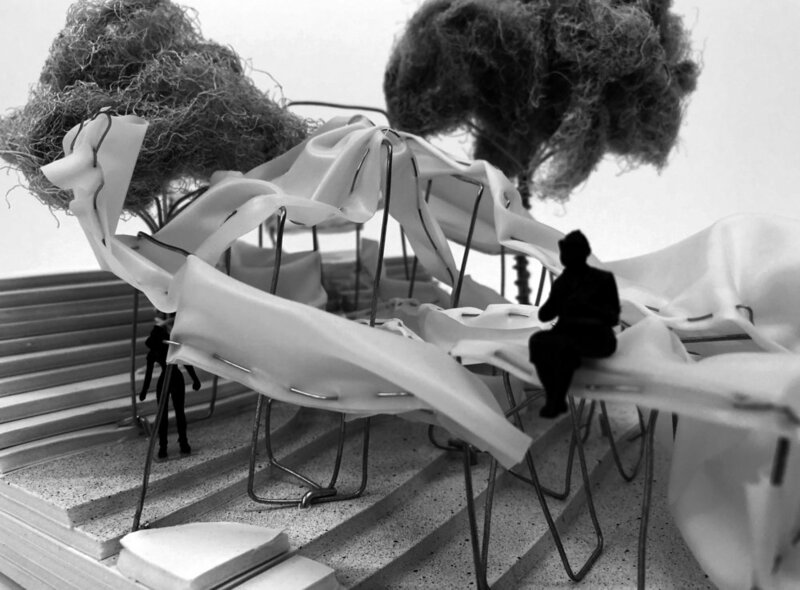 The final model is a parasitic, flexible structure that engulfs the shape of its host. 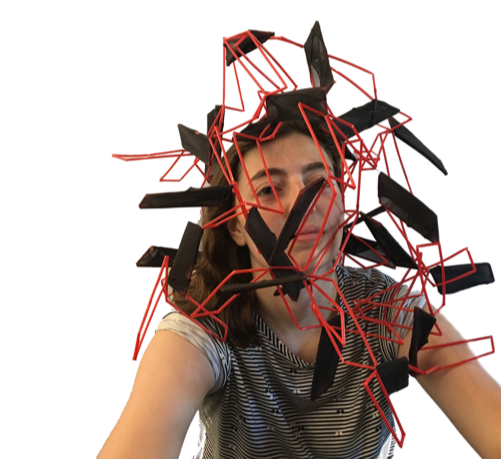 I began experimenting with how this structure could interact in the context of human intervention. As a result, the shape effortlessly and dominantly entangles the human subject. After completing my material study, I was tasked with developing a hybrid structure: community garden that maximizes the production of strawberries and fuctions as an obstacle course. The design was limited to a 10x25 foot plot within Morningside Park, located in Harlem, New York City. The final drawings show the interaction of the two activities. At moments, the activities are completely separate. At other sections, the functions become inseparable.